A winter or summer annual or biennial, freely branching at the base, with a prostrate growth habit. 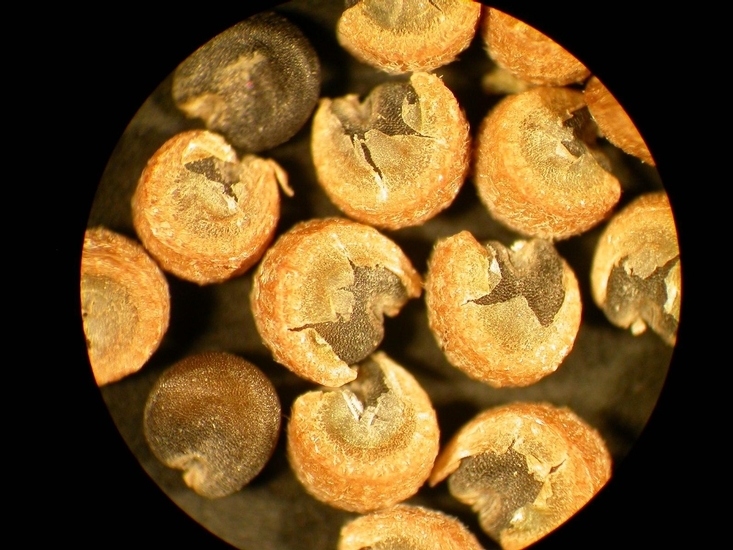 Found throughout the United States, more common in turfgrass, landscapes, and nursery crops. 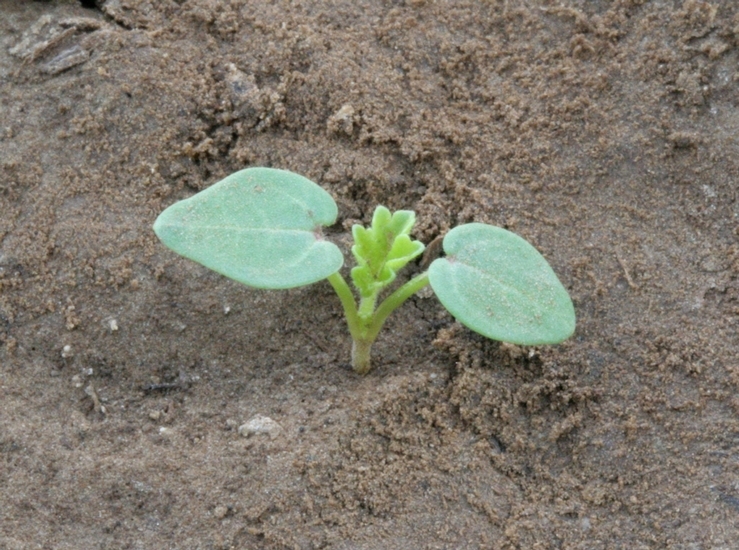 Cotyledons are heart-shaped, 5-7 mm long, 3-4 mm wide, with 3 main veins, hairy. 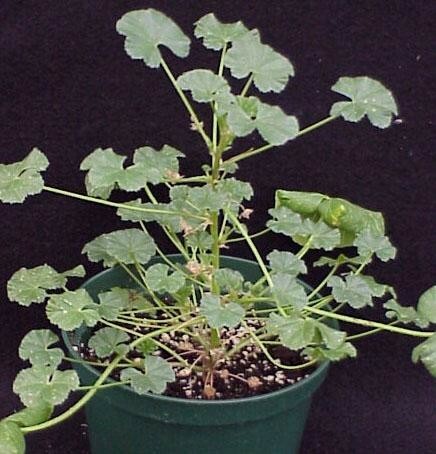 Alternate young leaves, crinkled, circular with toothed margins, and hairy on both surfaces. Alternate, on long petioles, circular to kidney-shaped, toothed and shallowly 5-9 lobed, 2-6 cm wide. 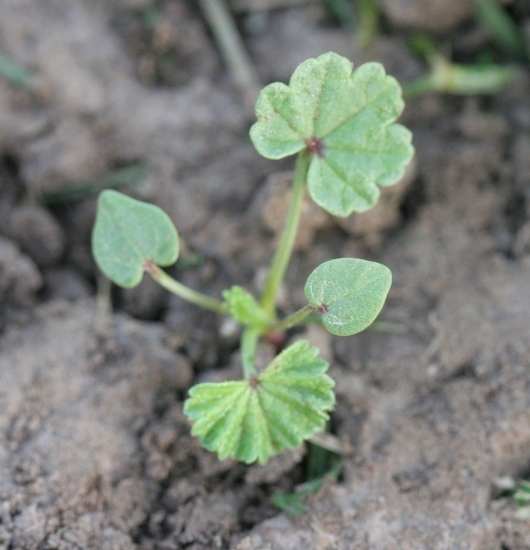 Short hairs present on upper and lower leaf surfaces, margins and petioles. 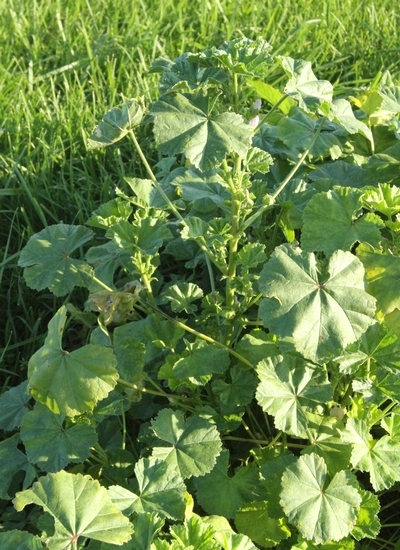 Freely branching at the base, lying close to the soil surface, nearly erect or spreading with tips turned up (decumbent). Single or in clusters of 2-4 in leaf axils. Petals white or tinged with pink or purple. Flattened, round, disc-like, composed of 12-15 small hairy, 1-seeded segments, 5 to 8 mm in diameter, resembling a button in appearance. Fruit disc-like, resembling a button. Leaves circular, toothed, and long petioled. 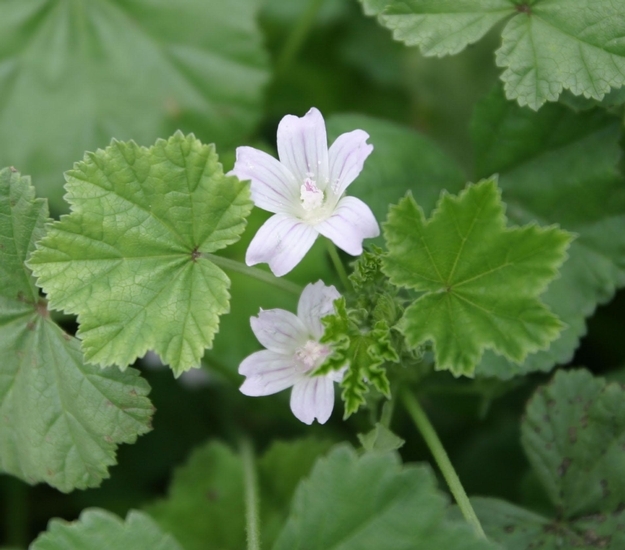 This weed is often confused with Ground Ivy (Glechoma hederacea). 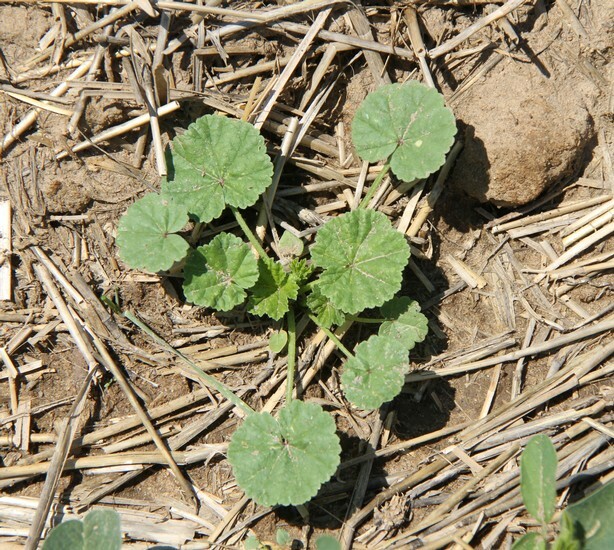 However, ground ivy leaves are opposite, and have much more prominent rounded teeth. 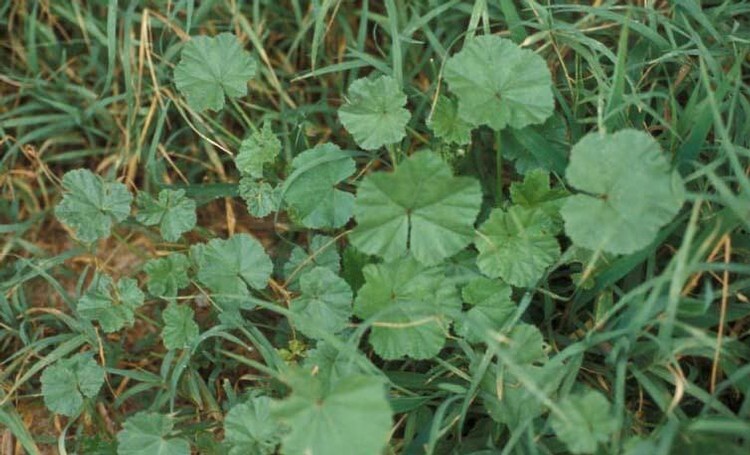 Ground ivy also has square stems and may emit a minty odor.